Larchwood Court offer comfort, privacy, peace and quiet and levels of independence that other rest homes do not offer. As part of a community of rest homes, we ensure your loved ones have a comfortable place to stay. Larchwood Court Limited Care Services are a private family organization operating in Kent. 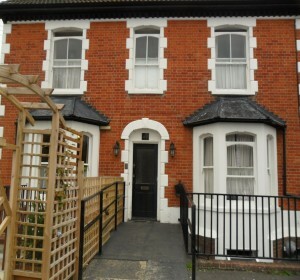 Since 1991 we have provided first class care services at our two homes in Kent. At Copperfields provide dedicated 24 hour nursing, dementia and residential care. At Larchwood Grove we offer expert care for people with learning disabilities. Most of our rooms are wheelchair accessible and have en-suite facilities. Entertainment and activities to suit our resident’s needs (including gardening, baking and regular outings). Our care homes promote a friendly, homely and relaxed atmosphere. Our care homes include: Onsite hairdresser, bar , massage, lovely garden & much more.. Which House Would You Like to Contact?